Can I use Paypal to play online blackjack? Can I use PayPal to play online blackjack? The answer is yes and no. It would be nice to have a pal to help us with quick deposits and withdrawals to and from our online casino accounts, so we could get back to playing blackjack quickly. However, the one available, going by the name of PayPal, is somewhat a restrictive method for online players. 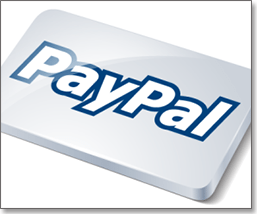 PayPal is an internationally recognised form of secure payment and offers a great level of insurance and protection. Due to its reputation, players no doubt want to use this payment method to when funding online casino accounts so they can play with peace of mind. However, due to PayPal’s policy, it may not be possible for online players to play and pay with PayPal. PayPal is your payment pal in the form of an internationally recognised web wallet, which is an online account created primarily to look after your money as well as provide quick and secure transactions. There are many web wallets available. PayPal is one with a stand-out reputation. All you need is a personal financial account to which you can link your virtual wallet, similar to getting cash out of the ATM and putting it in your wallet. You can do this via a credit or debit card. Some may even think of the pal in PayPal as a security guard as it helps protect the linked credit or debit card via its fraud-protection systems. PayPal is said to have been created due to this idea that having a wallet online as opposed to a physical one means it can’t be stolen. PayPal was created in 1999, and first-time users even got free money for sharing it with their friends. Perhaps the biggest corporation to enlist Paypal’s services is eBay, which began to offer payments via the e-wallet in 2000, and it is one of the most preferred payments method on the site. Making deposits and withdrawals via our PayPal accounts when playing blackjack online means we got the same level of security as when making a transaction via multinational corporation, so it’s no wonder many used it. However, that was until PayPal’s policy was updated and regulations were put in place. There are two essential features required when using a PayPal account to play online 21. Firstly, players obviously need an account with the web wallet service. Secondly, the online casino needs to accept Paypal as a payment method. Many Internet gambling establishments do not advertise Paypal as a payment option and it is rare to be able to make a PayPal deposit at an online casino. This is all down to the company implementing regulations which require casino operators to meet several prerequisites. These include gaining approval from Paypal to offer their services as well as operating in an area where it is legal to gamble online. As the online gambling laws vary so hugely around the world, PayPal tends to avoid the market entirely. Some online casinos servicing certain countries do offer it, but do not openly advertise, while many do covertly list it, making players believe it is available. However, it may be listed as a static banking page for players all around the world, who don’t have regulations in place. It does not always mean you can access the payment method. For example, on the deposit option page of some online casinos, PayPal is listed as a possible deposit and withdrawal option. However, when you go to the banking and deposit page, Paypal is not available. Therefore, it can be quite misleading as to where you can play and pay with your PayPal account, so be sure to keep this in mind. If you do manage to find an online casino which accepts PayPal, then making a deposit with PayPal is quite easy. All you have to do is follow the steps below. 1. Create a PayPal account, link a card or bank account with enough funds on it, and wait for verification. 2. Head to the banking or cashier section of the online casino and choose PayPal as your preferred deposit method. 3. Enter the amount you wish to deposit and press submit. 4. You will be taken to the external PayPal interface where you will be prompted to enter your email address and password. 5. Confirm amount and the funds will be credited to your account instantly. Withdrawals are much the same, only the reverse process is occurring with the funds going into your PayPal account. From there you can withdraw again to your linked credit or debit account and access your winnings that way. You cannot make a withdrawal until you make your first deposit either. If you cannot locate an online casino that accepts payment via PayPal then we have collated a list of alternatives for you to explore. – Neteller is to online casinos what PayPal is to eBay. The web wallet is primarily used for gambling transactions, with an emphasis on security, and therefore online players will find there are many Internet casinos accepting this payment method, as well as offering an additional first-deposit bonus because players have chosen Neteller. It works in much the same way as PayPal does, in that you need to create an account and link a financial account. A majority of the leading online casinos accept Neteller as a payment method. – Another web wallet similar to Neteller is Skrill. This web wallet, unlike Neteller, has an app you can download to your smartphone or tablet to manage your funds easily whenever you aren’t near a computer. Skrill is widely recognised in the online gaming world so you shouldn’t have trouble finding a reputable casino which accepts this payment method. Additionally a few online casinos, such as Royal Vegas, offer a 10% bonus on your first deposit when using this method or Neteller. While PayPal may not be an easily accessible payment method for online blackjack, there are plenty of other secure methods available.